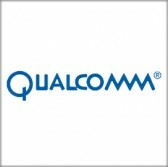 A Qualcomm division has received a contract to help the Defense Information Systems Agency implement a multifactor user authentication method into Defense Department information technology systems. Qualcomm said Thursday its cybersecurity solutions division will establish a pilot program for DoD personnel to access key department IT assess with an actionless authentication system. The system will utilize the company’s device attestation and continuous multifactor authentication tools on the Snapdragon Mobile Platform. DISA will allow participants in the program to access IT systems and information by using Snapdragon’s hardware-based technology on mobile devices as well as hard and soft biometric factors in an effort to attest device and user identities. The approach seeks to demonstrate advanced processing power, machine learning, analytics and protected execution environment of Snapdragon, Qualcomm noted. DoD has used common access cards over the past several years as a way to verify users and grant personnel access to critical IT systems at the department.